So.....you may have noticed a decrease in the posts over the past few months. Here is my excuse. Yep! 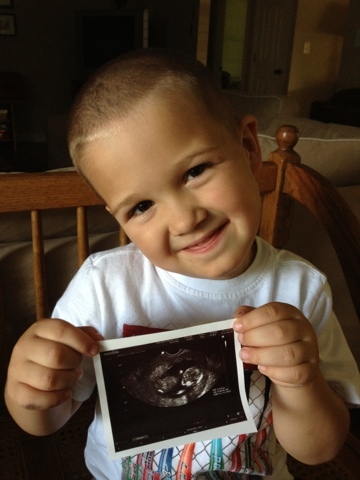 We are expecting another sweet baby in November. I'm due a few says after Thanksgiving, but I'm hoping to spend Thanksgiving at home holding a sweet new baby instead of in the hospital. We're scheduled for the "big" ultrasound tomorrow! I can't wait to start planning a nursery. I'll be back with the announcement soon! yahoo!! congratulations!!! so so exciting!!! i noticed your pins on pinterest and was wondering ;) can't wait to follow the journey!! hope you're feeling great! !